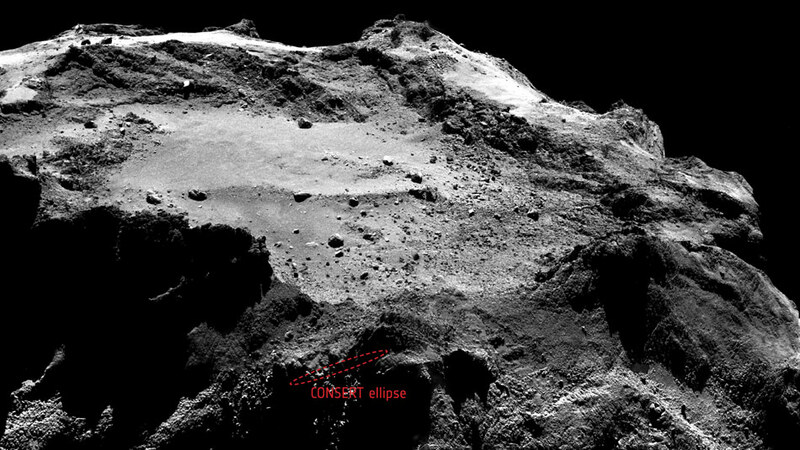 Philae lander revised search area. Via the New York Times. The European Space Agency's epic Rosetta mission's lost lander has woken up, as reported by the New York Times and many others. Understanding fairly well the physical principles and the precision required for such accuracy over interplanetary distances, I find endeavors such as Rosetta to be a firm refutation of any radically subjective theories of reality. No matter how illusory or confounded our picture of the world may be, logic and mathematics seem to grasp something objectively real, out there, uncaring and unaffected by our curiosity, yet reaffirming that science can form the basis of an accurate view of reality.